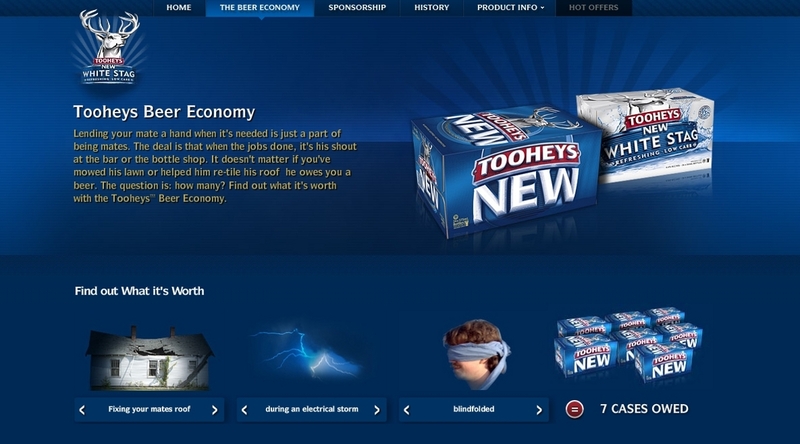 Lion Nathan is running “Beer Economy”, an advertising campaign for Tooheys New exploring the role beer plays as currency in Australia. 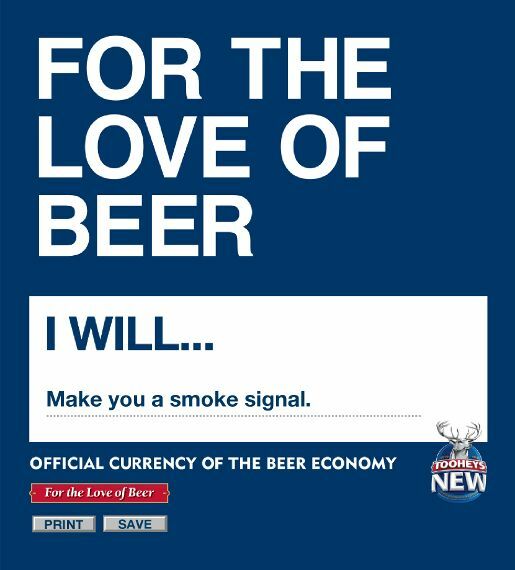 The campaign was launched on February 7 with the first four of nine television spots exploring the value of doing favours for friends and family. from what to charge your grandma for helping out with chores, to the laws of mateship and the logistics of milking a thoroughbred stallion for the purposes of breeding. 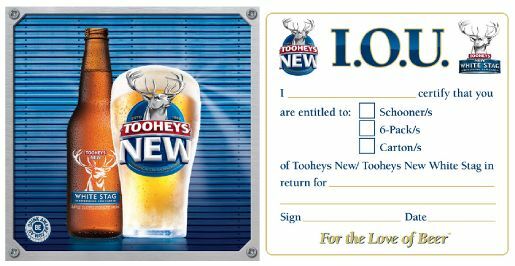 The Beer Economy campaign is online at www.tooheysnew.com.au, and includes a beer economy calculator, a downloadable IOU and “For the Love of Beer” promise sheet. The in-store activation campaign provides customers in bottleshops and pubs with “Beer IOU” coasters, “Tooheys New Accepted Here” stickers for tradesmen, and “Beer IOU” chequebooks. 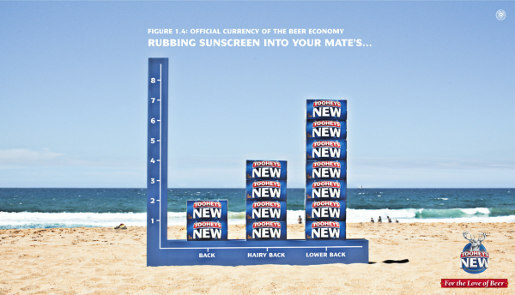 The Beer Economy campaign was developed at Saatchi and Saatchi Australia, Sydney, and Southpaw, Sydney, by executive creative director Steve Back, creative director Dave Bowman, copywriters John McKelvey and James Ross-Edwards (Southpaw), art director Peter Galmes (Southpaw), agency producer Jules Jackson, planner Neil Fairfield, group account director Alex Carr, senior business director Chris Yong, account manager James Tracy-Inglis, working with Margaret Zabel, Lion Nathan Marketing Director. Filming was shot by director Justin Kurzel via Cherub Pictures with director of photography Adam Arkapaw and producer Michelle Bennett. Digital work was by Holler Sydney. Below the Line media was by Momentum Worldwide.